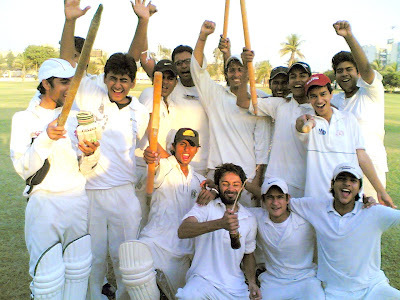 The Inter-house cricket tournament took place on the 13th and the 14th of nov. The Blue house chose to bat first. The Green house's first bowl, Daniyal Shehzada, sent off the opening batsman of the Blue house on the very first ball and then with Bilal Ansari, Who broke in the middle order and got 3 very valuable wickets, they both restricted Blue house to a total of 135.